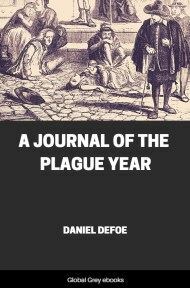 A Journal of the Plague Year is a fictionalised account of one man's experiences of the year 1665, in which the Great Plague struck the city of London. The book is told roughly chronologically, though without sections or chapter headings. 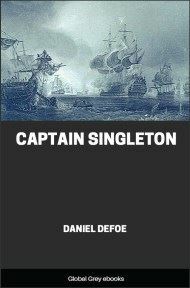 Although it purports to have been written only a few years after the event, it actually was written in the years just prior to the book's first publication in March 1722. 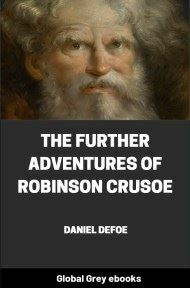 Defoe was only five years old in 1665, and the book itself was published under the initials H. F. The novel probably was based on the journals of Defoe's uncle, Henry Foe. It remains to mention now what public measures were taken by the magistrates for the general safety, and to prevent the spreading of the distemper, when it first broke out. I shall have frequent occasion to speak of the prudence of the magistrates, their charity, their vigilance for the poor, and for preserving good order, furnishing provisions, and the like, when the plague was increased, as it afterwards was. But I am now upon the order and regulations they published for the government of infected families. 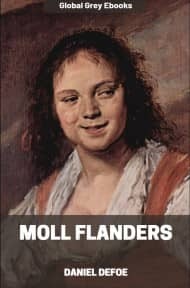 I mentioned above shutting of houses up; and it is needful to say something particularly to that, for this part of the history of the plague is very melancholy, but the most grievous story must be told. About June the Lord Mayor of London and the Court of Aldermen, as I have said, began more particularly to concern themselves for the regulation of the city. The justices of Peace for Middlesex, by direction of the Secretary of State, had begun to shut up houses in the parishes of St Giles-in-the–Fields, St Martin, St Clement Danes, &c., and it was with good success; for in several streets where the plague broke out, upon strict guarding the houses that were infected, and taking care to bury those that died immediately after they were known to be dead, the plague ceased in those streets. 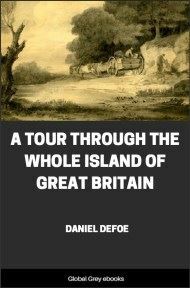 It was also observed that the plague decreased sooner in those parishes after they had been visited to the full than it did in the parishes of Bishopsgate, Shoreditch, Aldgate, Whitechappel, Stepney, and others; the early care taken in that manner being a great means to the putting a check to it. This shutting up of houses was a method first taken, as I understand, in the plague which happened in 1603, at the coming of King James the First to the crown; and the power of shutting people up in their own houses was granted by Act of Parliament, entitled, ‘An Act for the charitable Relief and Ordering of Persons infected with the Plague’; on which Act of Parliament the Lord Mayor and aldermen of the city of London founded the order they made at this time, and which took place the 1st of July 1665, when the numbers infected within the city were but few, the last bill for the ninety-two parishes being but four; and some houses having been shut up in the city, and some people being removed to the pest-house beyond Bunhill Fields, in the way to Islington — I say, by these means, when there died near one thousand a week in the whole, the number in the city was but twenty-eight, and the city was preserved more healthy in proportion than any other place all the time of the infection. Orders Conceived and Published by the Lord Mayor and Aldermen of the City of London Concerning the Infection of the Plague, 1665. ‘WHEREAS in the reign of our late Sovereign King James, of happy memory, an Act was made for the charitable relief and ordering of persons infected with the plague, whereby authority was given to justices of the peace, mayors, bailiffs, and other head-officers to appoint within their several limits examiners, searchers, watchmen, keepers, and buriers for the persons and places infected, and to minister unto them oaths for the performance of their offices. And the same statute did also authorise the giving of other directions, as unto them for the present necessity should seem good in their directions. It is now, upon special consideration, thought very expedient for preventing and avoiding of infection of sickness (if it shall so please Almighty God) that these officers following be appointed, and these orders hereafter duly observed. Examiners to be appointed in every Parish. ‘First, it is thought requisite, and so ordered, that in every parish there be one, two, or more persons of good sort and credit chosen and appointed by the alderman, his deputy, and common council of every ward, by the name of examiners, to continue in that office the space of two months at least. And if any fit person so appointed shall refuse to undertake the same, the said parties so refusing to be committed to prison until they shall conform themselves accordingly. ‘That these examiners he sworn by the aldermen to inquire and learn from time to time what houses in every parish be visited, and what persons be sick, and of what diseases, as near as they can inform themselves; and upon doubt in that case, to command restraint of access until it appear what the disease shall prove. And if they find any person sick of the infection, to give order to the constable that the house be shut up; and if the constable shall be found remiss or negligent, to give present notice thereof to the alderman of the ward. ‘That to every infected house there be appointed two watchmen, one for every day, and the other for the night; and that these watchmen have a special care that no person go in or out of such infected houses whereof they have the charge, upon pain of severe punishment. And the said watchmen to do such further offices as the sick house shall need and require: and if the watchman be sent upon any business, to lock up the house and take the key with him; and the watchman by day to attend until ten of the clock at night, and the watchman by night until six in the morning. ‘That there be a special care to appoint women searchers in every parish, such as are of honest reputation, and of the best sort as can be got in this kind; and these to be sworn to make due search and true report to the utmost of their knowledge whether the persons whose bodies they are appointed to search do die of the infection, or of what other diseases, as near as they can. And that the physicians who shall be appointed for cure and prevention of the infection do call before them the said searchers who are, or shall be, appointed for the several parishes under their respective cares, to the end they may consider whether they are fitly qualified for that employment, and charge them from time to time as they shall see cause, if they appear defective in their duties.